Quality House Serbia at SEE-IT Summit 2018! 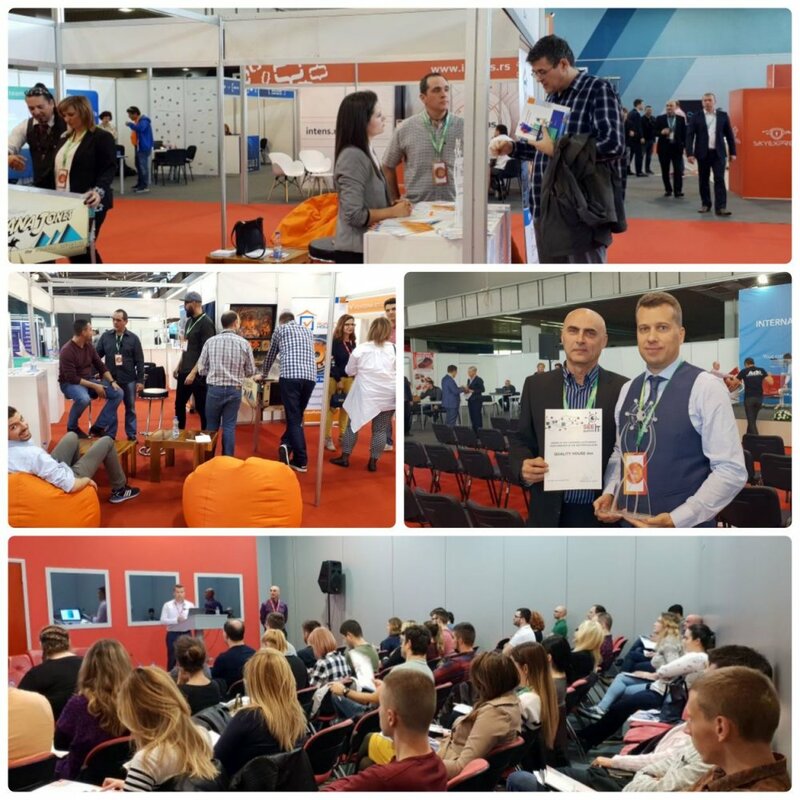 Last week Quality House Serbia took part in the international ICT Summit SEE-IT 2018 in Novi Sad. People came to meet us at our booth in the Exhibition area, and got the opportunity to test their skills at our pinball machine, the logic game we had prepared, or just talk to the team. We also made great new contacts through the organized BTB meet-ups, and take a minute to talk away from the bustle of the exhibition. Quality House also got the honor of being awarded the Summit’s award in the category ‘Outstanding Performance in the Western Balkans’, which CEO and founder Mitko Mitev and Managing Director/co-founder Predrag Skokovic received. This is a great recognition for our ongoing efforts at showing the importance of Software Testing and expanding its’ popularity in the region. Thank you! But maybe the pinpoint part of these 3 days, was the fact that we got to organize our own Software Testing Conference as part of the Summit. We had two keynotes – Mr. Mitko Mitev who once again reminded visitors of the importance of software testing and what might happen if we forget about it in his presentation Software Disasters, and Mr. Predrag Skokovic who told us of the software tester’s ability to act as mediators in a development team in Culture Brokering in Modern Software Testing. The talks were followed by a panel discussion on the topic of Software Testing – The Final Frontier with Mr. Skokovic as moderator and Mitko Mitev, Milan Solaja, CEO of Vojvodina ICT Cluster, Mirjana Kolarov, co-founder of Test’RS Club and Veliko Jovancic, co-founder of QA Serbia as participants. We also had a special surprise guest - Marko Gacesa from Alchemy. Our testing conference was one of the most successful at the summit, as it got us a full room and actively engaging audience, eager to learn and ask more – and it was a pleasure. We want to give our sincere gratitude to the organizers of ICT Summit SEE-IT 2018 and all the participants in the fair, meetings and conference – we had a great time, met some great people and companies and hope to see you again!